This mod aims at giving more options to transport items. 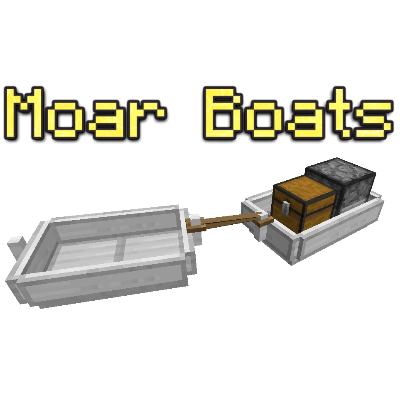 Inspired by the vanilla Minecarts, the mod adds modular boats. The Animal Boat: This bigger-than-usual boat allows you to transport entities - if they fit - over water more easily! You can link boats from this mod by using a Rope item. First click the boat that will follow then click the leading boat to finish linking the two. That way, only one boat needs to navigate and have fuel in a fleet! Installing a module is right clicking on the boat with the item corresponding to the module. You can access the modules menu by right clicking the boat when not holding an item that corresponds to a module. Modules are separated in 4 categories: Storage, Navigation, Engine, and Misc. Chest module (Storage - Chest block): Add a chest to your boat to hold items! Can be filled and emptied using hoppers. Fishing module (Misc. - any Fishing Rod): Add a fishing rod to make the boat fish automatically! Needs a Storage module installed to work. Seat module (Storage - Seat item): Allows you to seat in the boat. Rudder module (Navigation - Rudder item): Allows control of the movement of the boat. Needs a Seat module to be used. Can be set to non-blocking (see engine modules). Anchor module (Misc. - Anvil block): Changes your spawn point to the location the anchor is set. Also blocks the boat (see engine modules). Boat Fluid Tank (Storage - Boat Fluid Tank block): can hold any fluid (amount configurable) registred via Forge. Use a Fluid (Un)Loader to (un)load it. Boat Battery (Storage - Boat Battery block): can hold RF/FE energy (amount configurable). Use an Energy (Dis)Charger to (un)load it. Dispenser/Dropper modules (Storage - Dispenser/Dropper block): can dispense/drop blocks and items in a set direction around the boat. Allow for a 3-block high column output. The Dispenser module can also place blocks. Engine modules make the modular boat go in a straight line. They need to be unlocked (top right button in their menu) once installed to work. The speed can be slightly adjusted in the menu. Engine modules can be blocked by using redstone signals (with Waterborne Redstone Conductors for instance). This special module can be installed by adding Note Blocks to the boat. The boat will try to follow rivers when moving. Be aware that this module is more of an experiment than a reliable way to make boat navigate! This is perhaps the most important module of the mod. Provide a filled map (can be zoomed out) and plan an itinerary for the boat to follow by itself! Map with Path: can be crafted from a normal Map or converted from a Map inside the Helm module menu. Simply a copy of the normal Map with the path registered inside. Golden tickets: all copies of a single ticket are linked: change the path on one to update all of them (even the ones already in use in boats). Useful to control a fleet. Sometimes, drawing the path on the map is not precise/effecient enough. To solve this problem, Moar Boats adds a new block: the Mapping Table. This block allows to edit the path stored on a Map with Path or a Golden Ticket with more options: Adding/Inserting/Removing/Editing/Reordering waypoints. Waypoints are also created by inserting their X,Z coordinates. If you have the JourneyMap mod installed, Moar Boats will attempt to find the waypoints made using this mod and suggest them to you when editing a waypoint! WARNING: Moar Boats does not yet retain the data stored on the items you provide and will always consider that you gave: a CPU, an *empty* HDD, some RAM, a floppy with OpenOS and the Lua Bios. Starting with version 4.1.0.0, Moar Boats supports embedding a computer inside your boat! Click assemble and you'll get the 'OpenComputer Module' item! Finally, right click your boat with the OC Module and voilà! A boat with a computer inside of it! The computer requires no power to run as it is already quite expensive. 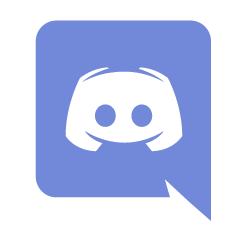 I hope you'll like the mod! Do you have other mods with Moar Boats ? The OpenComputers integration is far from perfect for the moment and could be affected by almost anything. i cant find the creative engine the animal boat and more?!?!?!?!? Can these boats be made to run on the FE energy system that Forge provides? It is not possible yet but I hope I will be able to add a module for this in the near future! Ooh, so this is like Steve's Carts but with Boats? Seems pretty amazing. You should let beds be added to the boat modules. I think this would be very useful for on long journeys because currently I have to bring one and place it down and sleep on an island (on my archipelago world) but with a boat it would be much more convenient. I have already taken a look at implementing beds for boats. Sadly the way beds work in Minecraft make it extremely complicated to make them modules. I might give it another shot when Forge 1.13.2 is ready and stable if the system has changed. Any chance for an Oar Engine Module? Unlimited power while player occupied for enhanced vanilla boat functionality, completely useless for automation purposes. Don't have to remember to turn off the engine when you get out so the boat doesn't drive away without you. An engine that runs if and only a player is inside? That could be doable, I will probably add it to the next update! Is it possible to configure the burning time of fuels in the furnace engine? Right now 1 piece of coal can power the boat for 180 seconds, or 1440 blocks, I think this is far too overpowered. Also right now the speed setting for the furnace engine does not affect the burning time of fuels, so travelling at 4m/s and at 12m/s will use the same amount of fuel per second. Is this intended? I could provide a config option to scale down the burning time of fuels. if I want to use RF Boat Battery for energy,how to do? Use the energy charger/discharger and connect them to your energy network to load/unload energy into the battery. Moar Boats does not provide a way to power boats with RF energy yet. THANK YOU for simplifying the description of this mod, makes it easier to find stuff all at once, for one.